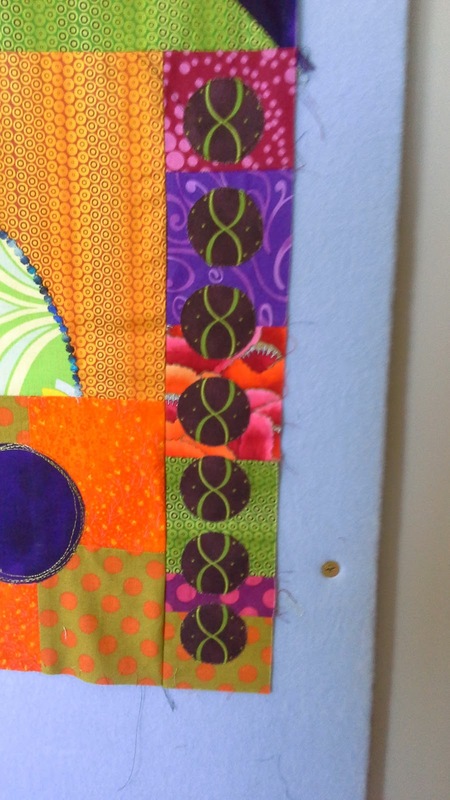 For so long I put off finishing this quilt and like most things you put off doing you end up really enjoying and wonder why you waited so long. 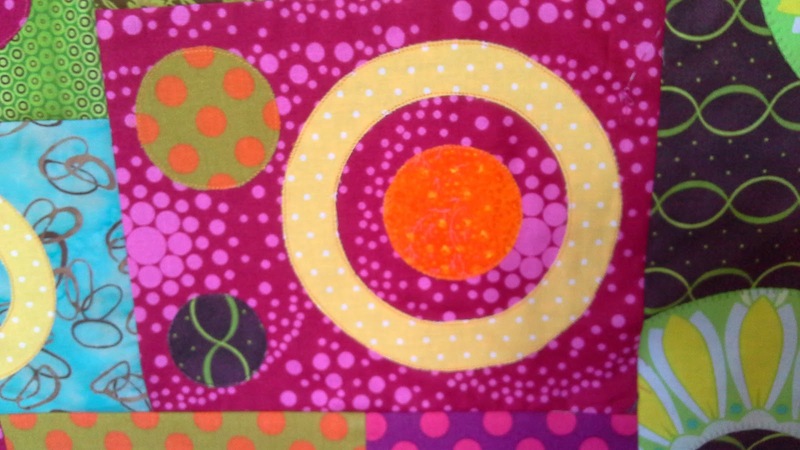 A beautiful sunny day spent working on a beautiful sunny quilt. 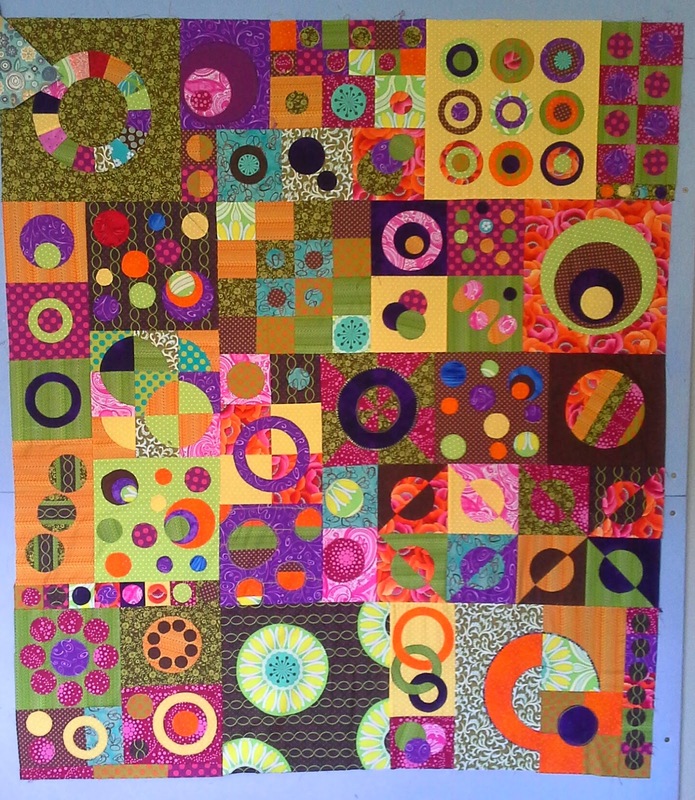 I made a few more blocks and pieced it together, thrilled with the result. 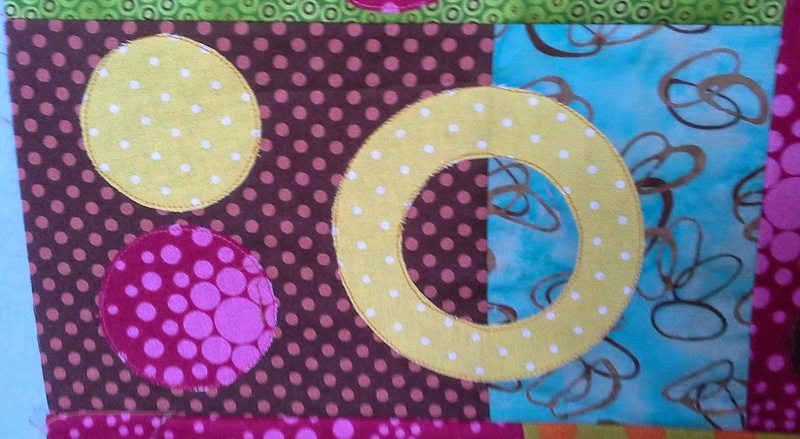 Now how to quilt it??????? Looks great. 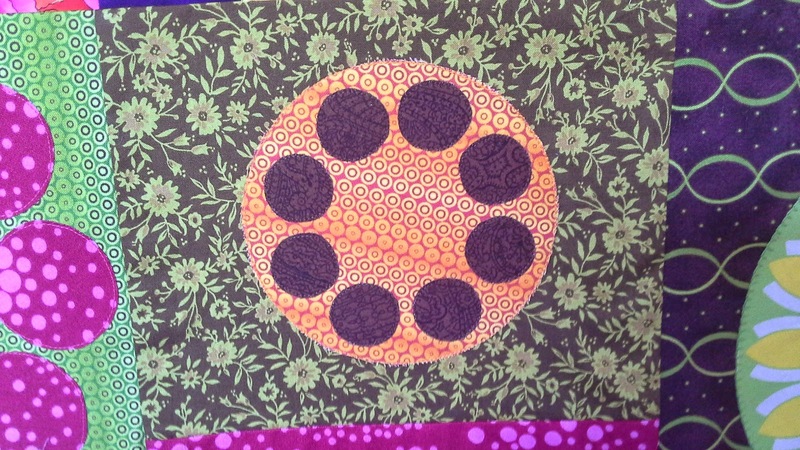 You could circle quilt it. One circle radiating out from the middle? It looks fantastic Christine. 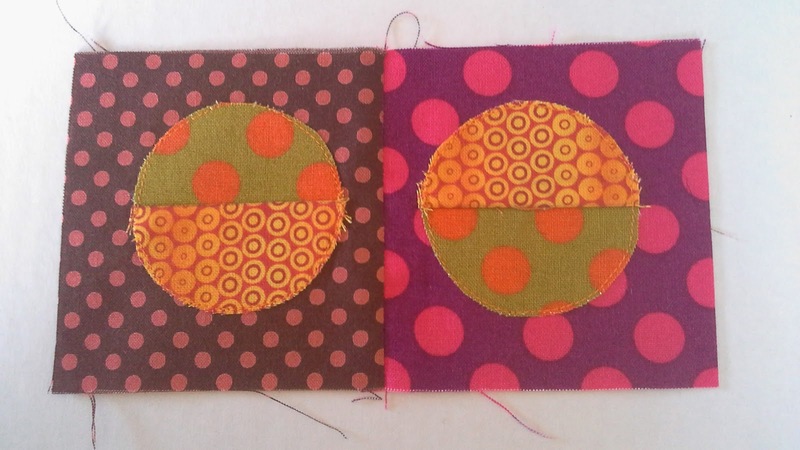 You could contrast the circles by framing them with quilted squares? OOOO I love it! so bright and cheerful.